Environmental, Health and Safety News: WI: Wisconsin E-waste Bill Passes in Senate! WI: Wisconsin E-waste Bill Passes in Senate! MADISON, Wis. -- An electronics waste bill that would make manufacturers responsible for recycling the products they sell passed the Wisconsin Senate last week and arrived in the Assembly Tuesday. Senate Bill 107 must now clear the Assembly and get approval from the governor before becoming law. The move could bring the number of states with e-waste recycling laws to approximately 20. 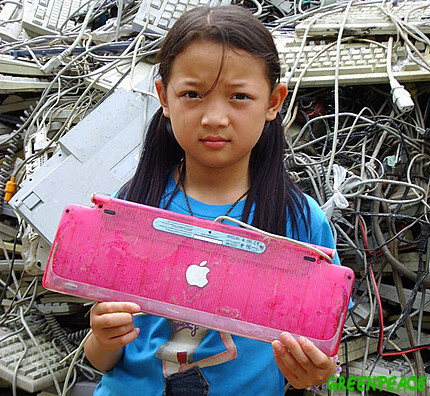 The U.S. lacks a federal e-waste mandate. The Wisconsin law would require manufacturers of select consumer electronics -- computers, printers and video display devices, such as TVs or monitors -- to collect and recycle 80 percent of the weight of sold devices beginning in September. Manufacturers must register with the state’s Department of Natural Resources and report the list of brands sold in the state. Beginning in February 2010, retailers can’t sell electronics made by manufacturers that are not registered with DNR. Manufacturers failing to meet their targets would be subject to a shortfall fee after 2010. Those who exceed their goals may be eligible for recycling credits. TVs and electronics often end up in landfills although they are made with toxic materials, such as mercury, lead and cadmium. The EPA estimates about 244,000 tons of electronics were collected for recycling, compared to 1.3 million tons ready for disposal. Environmental advocacy group Clean Wisconsin estimates only 10 percent of e-waste is recycled in the state. Indiana became the 19th state in the country to pass an e-waste law last month.